James Hillier Blount recorded his first album Back To Bedlam (2003) in Los Angeles and with the two first singles – High and Wisemen – he didn’t get much attention from the media or public but after releasing You’re Beautiful, things started to change and since then he never stopped. You’re Beautiful debuted at #12 at the UK chart and after 6 weeks it made #1 and it rose the album to #1 on the Uk Albums Chart; in the US the song was officially released to the radios in the fall of 2005 – although the prominent radio station WPLJ in NYC released it in the summer of the same year – and climbed into the Top 10 in three radio formats: Adult Contemporary Music, Hot Adult Top 40 Tracks and Adult Album Alternative. The song made Blunt the first British artist to top the American singles chart in nearly a decade when it reached #1 on the Billboard Hot 100 in 2006 – the previous record was for Candle In The Wind (1997) from Elton John. With his first album, Blunt managed to sell 11.2 million copies and top the album charts in 16 countries worldwide – 2.6 only in the US and it was certified 2x platinum; over 3 million copies in Britain and certified 10x platinum, entering the Guinness Book of World Records for the fastest selling album in one year. His second album, All The Lost Souls (2007) sold 65,000 units in its first week and was certified gold in the UK with four days from its releasing. 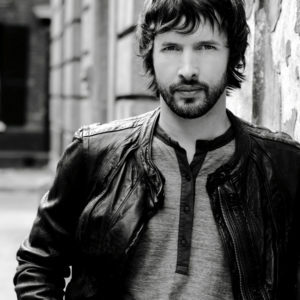 The album had 4 singles released – 1973, Same Mistake, Carry You Home and I Really Want You – and was re-released in 2008 as a deluxe edition, with new album network, new single – Love, Love, Love – and the documentary James Blunt: Return to Kosovo. Some Kind of Trouble (2010), Blunt’s third studio album debuted at #4 in the UK and although the singles from the album – Stay The Night, So Far Gone and If Time Is All I Have – didn’t reach much high on music charts and the critical to the album has been mixed, it had sold over one million copies by February 2011. 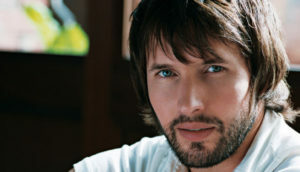 Bonfire Heart, the lead single for his fourth album Moon Landing (2013), debuted at #6 and in the following week it peaked at #4 in the UK Singles Chart; it went #1 in Australia, Germany, Switzerland and Austria and was top 10 in several other countries. The album was re-released in 2014 and was named Moon Landing – Apollo Edition. It contains 19 tracks – 11 from the original disc, 3 from the deluxe edition and 5 new tracks: Smoke Signals, When I Find Love Again, Breathe, Trail of Broken Hearts and Working It Out, having When I Find Love Again released as single. The Afterlove (2017), his fifth album received an average position with the critics and it had a total of four singles released – Love Me Better, Bartender, Times of Our Lives and Make Me Better. I fell in love with James Blunt and his sad, honest, raw truths when I first heard You’re Beautiful and I remember I had a friend that hated his songs and she couldn’t understand what or why I loved him so much but his songs for me are more about the words than anything else – I know many of them sound the same sometimes but I don’t care about that when it comes to him; and I think nowadays most songs sound the same anyways, so the best I can do is select what my taste likes better and go for it! I still want to go to one of his concerts and maybe in the future I’ll be able to, next time he’s touring around here. For now I am glad I have his music to keep me warm and just in the right amount of depression! There! This is it for today and if you want to support one of my favorite singers, follow his Official FB Page and check his Official Website for more info and tour dates. Don’t forget to give us your support as well, liking our FB Page and sharing with your family and friends – because sharing is caring! 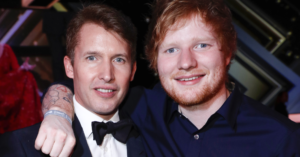 This entry was posted in Music, Pop Rock and tagged albums, Billboard, facebook, Guinness Book, James Blunt, music, official page, singles, songs, studio album, UK by hadassa. Bookmark the permalink.